“Today, we can say that in health matters, the European Union is not a union. Why not? We have health inequalities not only between member states but also within the regions of the member states,” he said. During his term, he often called for an EU fund to solve the “health gap” during his term, he said at the European Public Health Alliance’s (EPHA) annual conference in Brussels on Thursday (4 September). Borg said he was always told that member states should use regional cohesion funds. He was not certain the countries would use their regional funds to improve public health. “Should we give more power to the Commission in health matters to intervene as it’s possible in other areas?” he asked delegates. “It’s not the right moment to propose more power to the centre, but we if we have to have more harmonisation over the next 15 years, then we also need more powers to intervene,” he added. 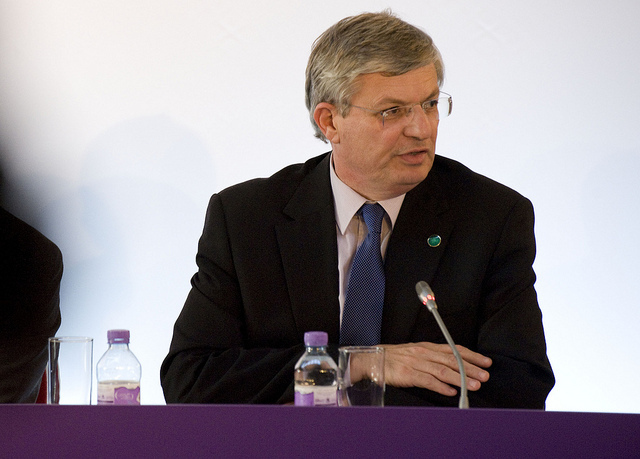 Borg said the Commission used political pressure and health statistics to encourage better health provision. “No one likes to be at the bottom of the table,” he said. While health had generally improved across the EU over the past decades, the health gap has stayed the same or widened for some social and economic groups, Borg added. Since the 1970s, there has been seen an enormous widening of the gap in health measures between West and East,in terms of life expectancy for example, said Johan Mackenbach, professor of public health and chair of the Department of Public Health at Erasmus MC. The reason was the different rates of implementation of effective health policies across the EU. While other factors can play a part, countries that do more see better results, he said. “We have identified a number of political interventions which have improved public health in at least a number of European countries. This applies to tobacco control, policies in the area of pregnancy and childhood or air pollution or road traffic safety,” he said. Not every EU country enjoyed those results because good policies in those areas were not implemented in every member state. Peggy Maguire, the president of EPHA, said politicians and health campaigners needed to ensure that as Europe recovers from the crisis, the benefits of growth are shared equally among EU citizens and regions. “As the financial markets continue to influence policy decisions, I think we all have to ask ourselves, where are the public health advocates today? Who is asking for investments in health?” she said. Roberto Bertollini, director of the World Health Organisation’s (WHO) office in the EU, said there was a perception that health was not a “big” portfolio in the Commission. “But this is not the case because if you look at the issues expressed in the public opinion and concern, you see that health is very high on the agenda,” Bertollini said. Previous EU health bosses, including Borg, has fought many battles with other commissioners, whose policy areas influence public health such as finance, transport and labour market, said Tamsin Rose, independent health advocate. Hopefully, this will be acknowledged in the next Commission, she said. Rumours in Brussels said on Thursday that the next Commissioner for Health and Food policy will be Lithuania’s Vytenis Andriukaitis, a former health minister and physician. While health has been the responsibility of a single commissioner for years, other policy areas also have an impact on people's health and well-being in the EU. Over the past five years, the economic crisis has made life harder for millions of people in the Europe. Unemployment, cuts to social support, lack of access to finance and the impacts of austerity have taken their toll on people and their health. 9-10 September (expected): New Health Commissioner to be announced. 1-3 October: European Health Forum in Gastein. 1. November: New Health Commissioner to take office. What is the “health gap” in Europe? I’m an American, so I am not familiar with this.